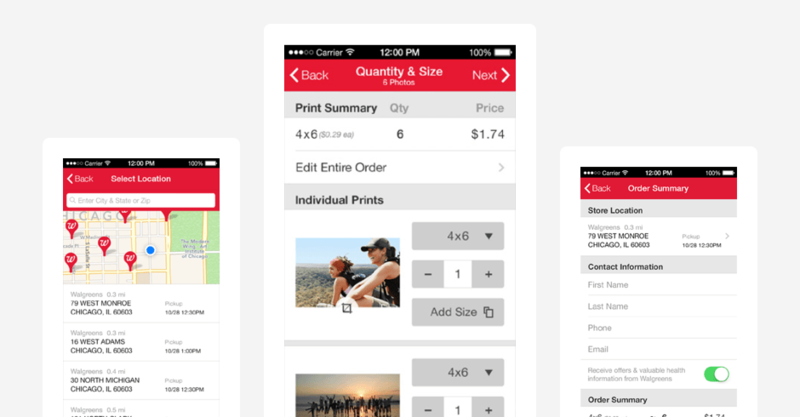 Redesigned and enhanced the Walgreens photo printing experience on iPhone, iPad, and Android.The objectives were to provide additional levels of user control to order creation and an enhanced streamlined checkout. 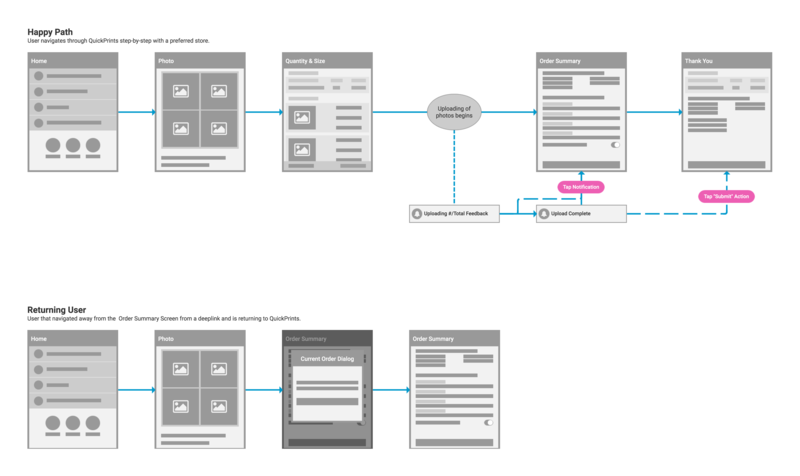 Previous usability research was utilized to shape the design. 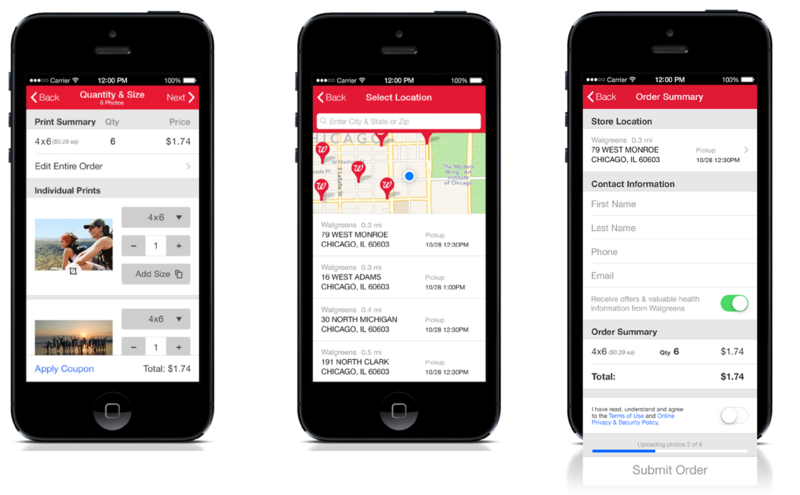 The improved experience was a success and increased revenue by 60% (= $50M expected yearly revenue) from order values up 16% and checkout conversion up 39%. 92% completed their tasks without issue - compared to 85%.